All six collections will enrich and add the contents on SAGE Research Methods and SAGE Knowledge that were purchased in 2013-2014. This new purchase will provide UCF students and faculty with all the new features of the research methods collection that include videos, cases and datasets to complement the quantitative and qualitative research methods, supplying over 2,500 business cases which are developed by prominent business schools in the world and by SAGE, filling the gap of nearly 300 ebook titles on SAGE Knowledge platform, and bringing one of the newly developed SAGE video collections to the counseling education and psychology programs. The three collections on SAGE Research Methods (SRM) platform, SRM Cases, SRM Video, SRM Datasets, will integrate seamlessly with the SRM funded by the Technology Fees in 2013-2014. Since its launch, SAGE Research Methods has provided faculty and students methods and concepts to help them design research projects, understand particular methods, identify a new method, conduct research, and report their findings. SRM Cases are stories of how real research projects were conducted. The collection provides more than 500 case studies, showing the challenges and successes of doing research, written by the researchers themselves. They explain why the researchers chose the methods they did, how they overcame problems in their research and what they might have done differently with hindsight: the realities of research that are missing from journal articles and textbooks. Cases are peer-reviewed and come with pedagogical tools including learning objectives and discussions questions. They can be used as a teaching tool to demonstrate a particular method and how it is applied in real research, or as inspiration to students who are preparing for their own research project. SRM Datasetsis a collection of teaching datasets and instructional guides that give students a chance to learn data analysis by practicing themselves. This bank of topical, engaging practice datasets, indexed by method and data type, are optimized to use in classroom exercises or in exam papers, saving faculty members hours spent sourcing and cleaning data themselves. The decisions researchers make when analyzing data can seem like a black box for students—through practicing analysis using real data from SAGE Research Methods Datasets, students can see how analytic decisions are made, helping them to become confident researchers. SRM Videocontains more than 120 hours of video, including tutorials, case study videos, expert interviews, and more, covering the entire research methods and statistics curriculum. The videos can help to bring methods to life: instead of reading about how to conduct a focus group, students can watch one in action. Stimulate class discussions by assigning videos for pre-class viewing, or use a clip in class to provide an alternative viewpoint. Videos can also be embedded into course management systems for exam preparation. Through these videos, 60% of which are exclusive to SAGE, students can find extra help and support to guide them through every step of their research project and succeed in their research methods course. Hosted on the SAGE Knowledge platform, which was also originally acquired on the Technology Fee in 2013-2014, the following three collections each offer unique content that can be easily integrated into UCF’s curriculum online and in-person. SAGE Video Counseling & Psychotherapy is among the newest products SAGE developed. Fully integrated within the SAGE Knowledge platform, combines originally commissioned and produced material with licensed video to provide a complete disciplinary resource for students, faculty, and researchers. These streaming collections, developed in partnership with leading academics, societies and practitioners, deliver cutting-edge pedagogical and research-oriented video within the social sciences. SAGE Business Cases is a carefully curated collection of 2,500 authoritative cases (published 2016-2018), designed to engage students in applying core concepts to practice through the use of examples from the global business environment. SAGE Knowledge 2014 Books & Reference Supplement will fill the gap in UCF’s holdings, enabling ownership of nearly 4,000 ebook titles on SAGE Knowledge, including reference, handbooks, professional development titles and series. The cost of per book on this purchase saves over 80% of the cost of individual titles. And SAGE has worked with at least 111 authors at UCF on 106 SAGE Knowledge books. All the six collections, combined with previous acquired content, will allow students and researchers to cross-search and seamlessly access a wide breadth of essential SAGE curriculum, research videos, cases, datasets, book and reference content; and all from one source. These contents cover a wide variety of disciplines in which UCF teaches and conducts research. The initial quoted price for UCF based on FTE and other factors was $185,441 for the six collections, but after careful negotiations, based on the number of collections proposed and the prior UCF purchases, and the opportunity to compete in the Technology Fee process, SAGE has agreed to offer the suite of products at a total of $150,574. The savings of $34,867 at a combined 19% discount rate make this an exceptional offer. Content can be accessed by an unlimited number of simultaneous users (24×7), and there is no limit to number of downloads. UCF will own the collections and therefore meet the instructional and research needs of the UCF community well into the future. The collections selected for purchase closely align with UCF courses in business, humanities, social sciences, science, technology, and medicine. However, it is likely that students in other areas of study will find relevant information in this large collection. We have identified the UCF programs and colleges that are likely to benefit the most from this proposed purchase; and these programs have a combined enrollment of 47,915. These six products on SAGE have the potential to benefit the entire UCF community, including the current 63,016 students and 2,256 faculty. The table below shows the major areas of study that will directly benefit by the purchase of the six SAGE collections. All the six SAGE collections will be available to all UCF students, faculty and staff anywhere, anytime, 24×7. The online materials will also benefit UCF Regional Campuses, online courses, and distance education programs. Students and faculty will be able to discover the content by searching the UCF Libraries catalog, QuickSearch, subject databases, Library Research Guides, and internet search sites linked to our catalog such as Google Scholar. All content and features will be accessible through SAGE Knowledge and SAGE Research Methods user-friendly interface that provides options to browse by subject, author, or title. All materials are offered in full text HTML PDF format, and video files, and are easily printed, emailed or downloaded to read on a mobile device, laptop or computer. Adding these six SAGE collections will directly supports student learning by providing critical content for course papers, projects, and study that currently not accessible to UCF. The book, videos, business cases, datasets are important to students in business, humanities, social sciences, science, technology, and medicine. With SAGE Knowledge 2014 Books & Reference Supplement, UCF students will have access to all the available SAGE Knowledge ebooks published through 2016. Management, I enthusiastically endorse the UCF Libraries’ proposal to purchase the SAGE Business Cases product. I was very happy to hear that the university may be able to purchase this tool. The cases in this collection will greatly benefit students at the Rosen College, as well as students in business, social sciences, public policy, and many other fields. Normally, finding appropriate and current case studies is a real challenge, especially for online-only or mixed-mode courses. Therefore, having access to more than 2,500 academic, digital, carefully vetted, and up-to-date cases will be incredibly useful. Through exposure to these cases, Rosen students will be presented with real-world examples that supplement and expand upon the theory they learn from traditional textbooks and discussions. More specifically, I will assign specific cases to students in my undergraduate capstone course HFT 4295 Leadership and Strategic Management and the graduate level capstone course HMG 6296 Current Issues in Hospitality and Tourism. Having access and utilizing such cases in my classes will greatly help my students to analyze strategic issues, make decisions and offer strategic and tactical recommendations. In summary, I am thrilled to support the library’s application to purchase this material, and I believe it would be an excellent use of Technology Fee funds. Please feel free to contact me if I can provide any additional information or if I can help in any other way. As a professor in the College of Nursing, I enthusiastically endorse the UCF Libraries’ proposal to purchase the Sage Products Collection. The SAGE Business Cases database will allow convenient access to credible, authoritative information which will be incredibly useful to nursing students of all levels, especially distance learners taking business and management courses. This proposal will add approximately 2,500 authoritative business related cases, 390 of which apply to nursing, hospitals and health care. Each SAGE Business case is designed to engage students in applying core concepts to practice through the use of examples from the global business environment. In addition to helping College of Nursing students easily find business scenarios relevant to healthcare, this package will also enable our faculty to support their courses by linking to relevant case studies. I would like to express my strong support for your tech fee proposal. In my view, the SAGE materials would be a very useful addition to library resources as part of the tech fee proposal that is being considered. They would benefit our Political Science and International & Global Studies undergraduates as well as our graduate students who are taking a number of research methods classes, or working to increase their methods competencies and are writing research papers. This would be a valuable addition to instructors and students alike. SAGE Video Counseling & Psychotherapy collection was highly interested by the faculty in the College of Education and Human Performances, especially the Counseling Education program. Students can follow the visual presentation and learn skills and techniques that will help them to become counseling educators. The video format is critical in fulfilling the accreditation requirements for the program. As assistant professors in the Department of Child, Family and Community Sciences in the College of Education and Human Performance, we enthusiastically endorse the UCF Libraries’ proposal to purchase the Sage Counseling & Psychotherapy Video collection. This video collection will enable students in the social sciences to view actual counseling sessions, furthering their skills as clinicians and future therapists. Therefore, having access to more than 2,500 academic, digital, carefully vetted, and up-to-date videos will be incredibly useful. Through exposure to these videos, students will be presented with real-world examples that supplement and expand upon the theory they learn from traditional textbooks and discussions. The UCF Libraries is committed to work directly with faculty, the College of Graduate Studies and Faculty Center for Teaching and Learning to publicize these materials. The Libraries will offer informational materials to distribute during various events, such as the Faculty Development Conferences. In addition, librarians will instruct students about these six SAGE collections during Information Literacy sessions, which will benefit faculty by providing content for faculty research and content for course assignments. The UCF Libraries will measure the success of these six SAGE collections through SAGE reports and satisfaction surveys. COUNTER reports (an industry standard format for online SAGE statistics) will track which titles are used and the number downloaded. Selected faculty and students will be asked for comments these products. It is expected that SAGE will increase by 5% to 10% per year in the first three years. It is expected that students and faculty will find the content highly useful as they won’t be turned away on the contents covered by these additional collections. After enabling the accesses to these six SAGE collections, the UCF Libraries will provide training on the use of the content through a host of outreach opportunities to both students and faculty. The subject librarians will collaborate with the academic and non-academic programs that are identified to have directly benefits to promote the collections purchased. Bibliographic instruction sessions, face-to-face reference sessions, one-on-one research consultations and LibGuides will all be used to promote the collection and provide needed instruction. In addition, selected faculty and students may be asked for comments for qualitative assessments. The Libraries will annually measure the success of these collections through COUNTER usage data provided by SAGE’s administrative site. The annual usage reports are included in the Libraries’ Annual Report and will serve an important benchmark. In order for achieve meaningful quantitative assessment, a 3-year time series comparison will be conducted three years after the full implementation of these resources. The requested funds will cover the entire cost to purchase perpetual access to the six collections on SAGE. The Libraries will catalog the content, maintain links, and support access. Any recurring costs for maintenance of the collection will be paid for using library funds. Content is hosted by SAGE Publication, Inc., and there is no impact on staff resources. The requested $148,574 in technology fee funding combined with the $2,000 UCF Libraries cost share will cover the purchase of six aforementioned collections by SAGE. There are no additional charges for the initial purchase. The UCF Libraries will cover the annual platform fee that is common for large digital collections of this quality. All content and functionality associated will be hosted by SAGE, so there will be no new demands on UCF staff or infrastructure. The initial cost per student simultaneously served is $3 ($150,574 / 47,915 = $3). However, this price per student is misleading because there is no limit to the number of times students and faculty will access the products over time and UCF will have perpetual rights to the content. The cost per use could be much lower. 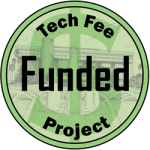 The initial quoted price for UCF based on FTE and other factors was $185,441 for both collections, but after careful negotiations and the opportunity to compete in the Technology Fee process, SAGE has agreed to offer the suite of products at a total of $150,574. The savings of $34,867 at a combined 19% discount rate make this an exceptional offer.